Wow! That’s a lot to ask of just one book. As I thought about it, I realized that there really isn’t just one book that fills every reference book need. Rather, there are a few specialized books that are excellent references for Montessori elementary children. This is a nice all-in-one reference book with thousands of color photographs and easy-to-understand text. It covers natural science, physical science, the world around us, and hundreds of other topics. The Michael Olaf catalog calls this “the Montessori elementary curriculum in a book” and that’s a pretty apt description. It includes maps, diagrams, charts, and information about history, geography, language and literature, mathematics, computers, physical science, natural science, English grammar, and arithmetic. 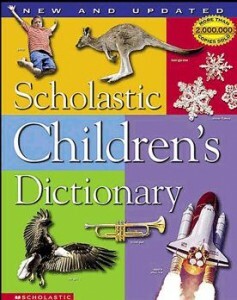 A good dictionary is the gateway to creative, interesting writing. Not only can kids look up spellings (the most common use), they can use the dictionary to discover multiple meanings, pronunciations, synonyms for words, and the history of words. A good poetry anthology should have a wide variety of poems from different time periods and different cultures, presented in an easy-to-read format. There are many versions of atlases for kids, from companies like Rand McNally, Scholastic, and Dorling Kindersley. You may want to have both a world atlas as well as an atlas for your specific country and/or continent. A good atlas should have several types of maps for each continent or country (geographic, political, and environmental) as well as helpful statistics (population, square miles/kilometers) and pictures. You can often find these used at a good price on eBay or Craigslist. This set is a classic blend of photos, illustrations, fiction, and nonfiction to capture and keep the interest of a young student. Its varied content works with children’s different learning styles and developing comprehension skills. I remember reading through these by the hour when I was growing up. Unlike traditional encyclopedia sets, the information in these volumes generally does not go out of date, as it mostly contains stories, poems, and craft ideas. So if you can get your hands on a used set of these at a reduced price, it would be a great value. They can be found on eBay or other auction sites, and used copies can be bought at Amazon as well. Consisting of 12 volumes, this set contains everything from nursery rhymes to fairy tales, from folktales to mythology. 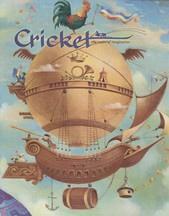 Beautifully illustrated, it’s been a favorite of children for generations. The My Book House books are now out of print, so you’ll have to find a used set on eBay, Amazon, or other auction site. Many elementary classrooms have sets of encyclopedias (Britannica, World Book). While these can be a helpful resource, the information in them can go out of date pretty quickly, especially when it comes to the areas of science and technology. I don’t recommend buying a used set for that reason. I do recommend buying one book (like numbers 1 and 2, above) that is an all-in-one encyclopedia rather than a whole set. It’s much cheaper, and easier to buy a new version every few years to insure the materials are up-to-date. If your classroom has a set of encyclopedias, they can certainly be used for research and fact-finding, but any information found should be cross-checked with other sources for accuracy. Most classrooms and homes today have computers, and oftentimes finding the answer to a question is as easy as a quick Google search. Sometimes we might wonder, why have so many books? Children have more information available to them than ever before. By selecting quality books to have in your classroom, you will ensure that their learning, reading, and research is based on the very highest quality of information available.